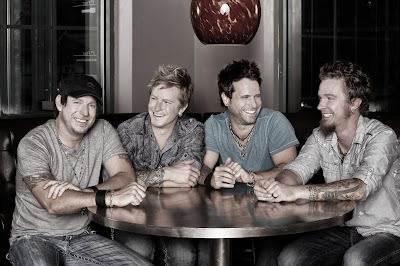 North Carolina local favorite and chart topping band Parmalee will perform their latest hit “Already Callin’ You Mine” on the TODAY show this Tuesday, 9/8. Parmalee will join hosts Al Roker, Natalie Morales, Tamron Hall and Willie Geist in the 9 o’clock hour for an interview and performance of the band’s third consecutive hit from its debut album, FEELS LIKE CAROLINA. The performance will mark the band's debut appearance on the TODAY show. Parmalee will appear in MLB Central's 11 am ET hour. Fans can interact with Parmalee and the show’s hosts via MLB Network’s Twitter Feed and Facebook page using #MLBCentral.